Sometimes increasing the income from your art business involves some lateral thinking. If you want to make your art work for you and raise your exposure at the same time, art licensing may be the solution you’ve been searching for. In this context, the word license means freedom permitted to someone so they can use an image owned by another person. Why do People Buy Licenses? A quick survey of shops and retail outlets reveal mountains of merchandise needing images, logos and prints. A lot of manufacturers rent the designs in the form of a license from artists. It’s a commercial relationship formed between the artist or licensor and the end user or licensee. A successful partnership ensures that the consumer enjoys art reproductions depicted on anything from prints, to postcards, books, cards, clothes, textiles and housewares. The art covered by the licensing agreement needs to be defined. Does it apply to a single image or extend to a series? Don’t make the mistake of assuming anything. Clarify where and how the image will be used. How long will the image be used for? Do you have the right to terminate the license at any point? Stipulate the circumstances in which you would be allowed to do this. Setting up a licensing agreement does NOT mean you lose the copyright to your image. To fully protect this copyright, you may wish to ensure that the licensee is contracted to display your copyright mark at all times. Make sure that the terms of payment for the license are clear. Payment usually takes the form of royalties paid to the artist. 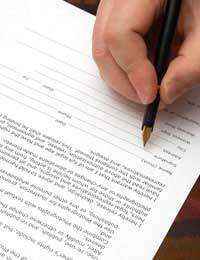 A percentage figure must be agreed prior to formal agreement. Art destined for the licensing industry needs to be marketable. Ensure your art focuses on mainstream images with a wide appeal. Stick to this basic principle and you will find getting your work licensed much easier. Don’t fall into the trap of losing your artistic identity, if your art becomes contrived and forced, it will be evident in the quality of your work and you will have great difficulty convincing end-users to enter into any agreements with you. There will always be a need for less standard designs but mainstream art always reaps higher financial rewards. How Do you Secure a Licensing Agreement? Creating good, consistent artwork is the main pull for licensing end-users. Enhance your chances by producing images in groups. Each group could have a specific theme based on subject, colours used or mood. This will give a series of self-contained portfolios that can be effectively pitched to manufacturers directly or to licensing agencies. Make sure you raise your profile within the world of art licensing. Keep ahead of the news and latest industry information with trade magazines and newsletters. There are a number of licensing trade shows each year, all widely advertised in trade press, make it your business to be there with business cards and examples of your work. Other useful tools to promote yourself within the world of art licensing are a solid business plan, a comprehensive website and an effective sales mission. As long as you maintain a good art/ business balance, art licensing opens up a whole world of possibilities for your art business.